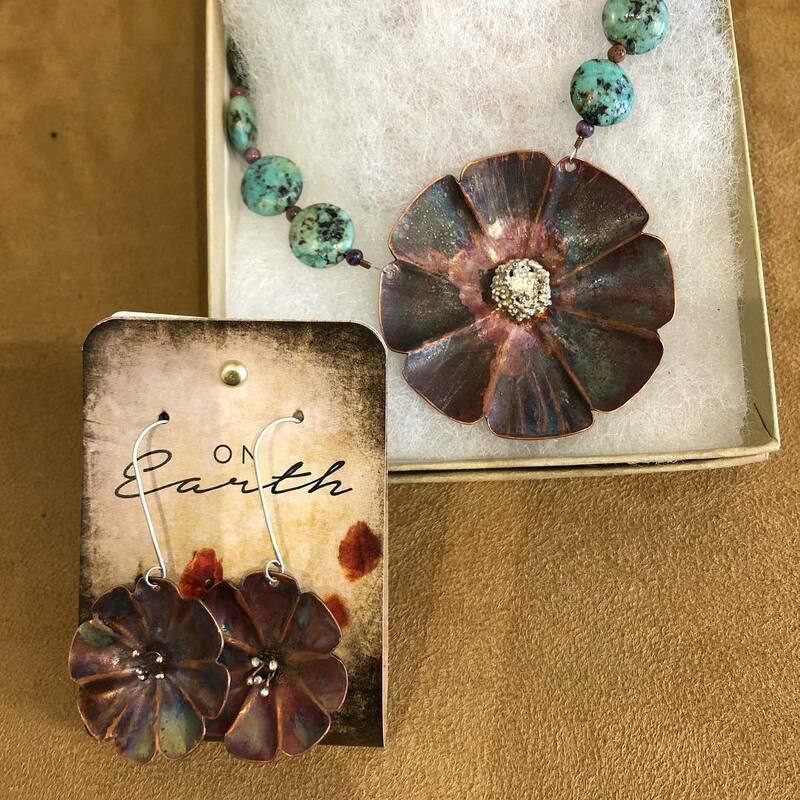 Jewelry artisan Susan Chiodo was born in Racine, Wisconsin. She has always had a love for jewelry, still possessing the first ring she bought at the tender age of five. 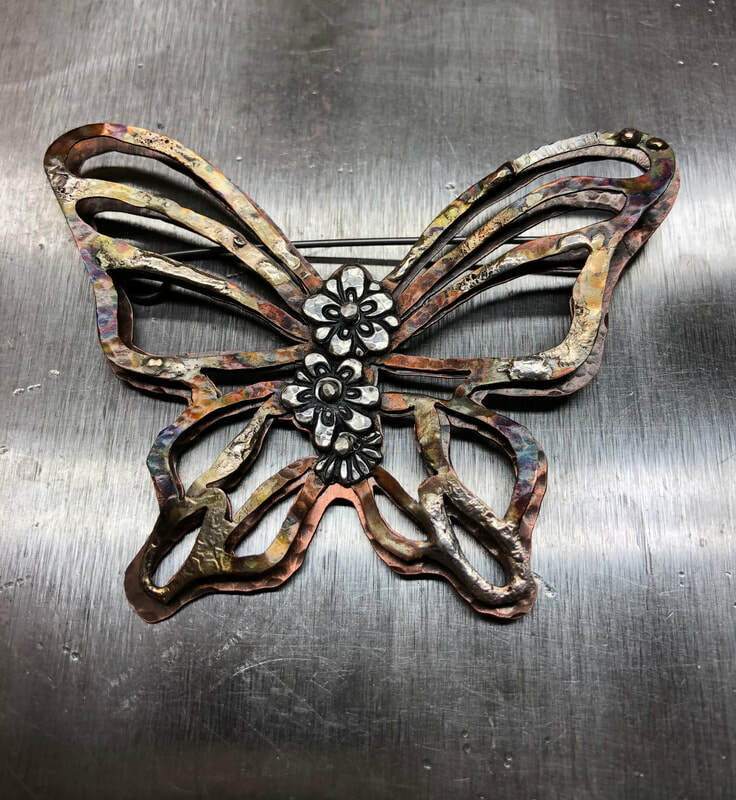 Susan originates from a long line of artists, craftsmen, and inventors. She graduated from Oral Roberts University with a bachelor’s degree in commercial art concentrating on sculpture for her senior show. 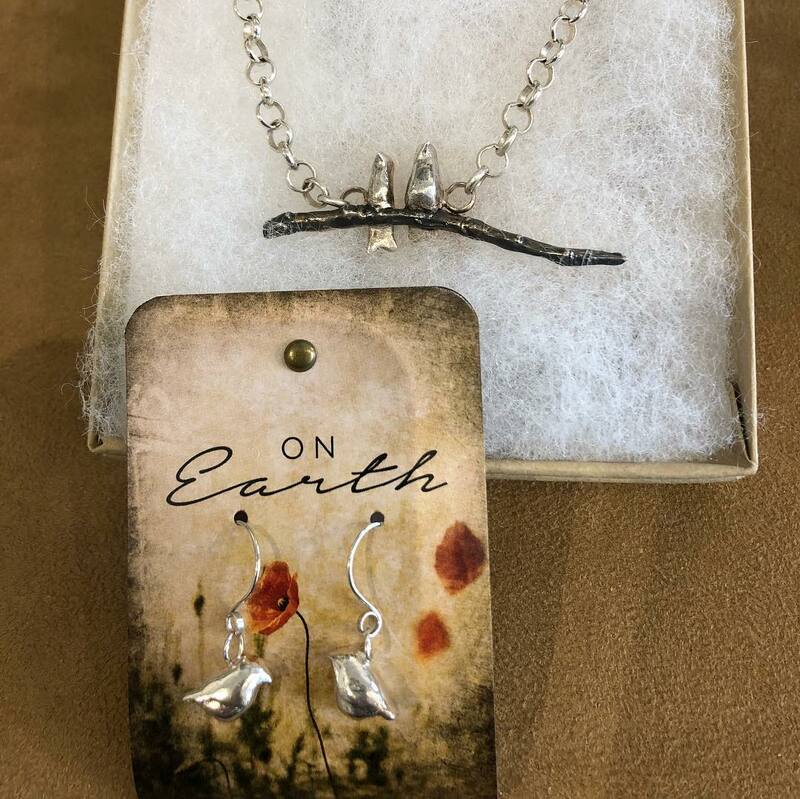 It wasn't until Susan turned 40, however, that she combined her passion for jewelry and sculpture with her heritage as a craftsman. She began simply, with ten bracelets that quickly grew into an entire business ON EARTH jewelry. 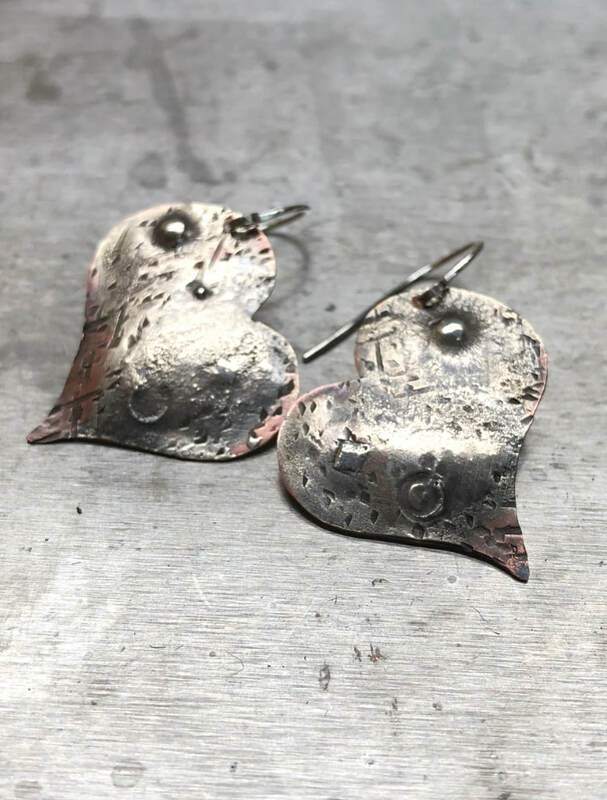 These small “sculptures” combine metals, precious metal clay, leather and semi- precious stones to define Susan’s love for “imperfectly perfect” distressed jewelry. 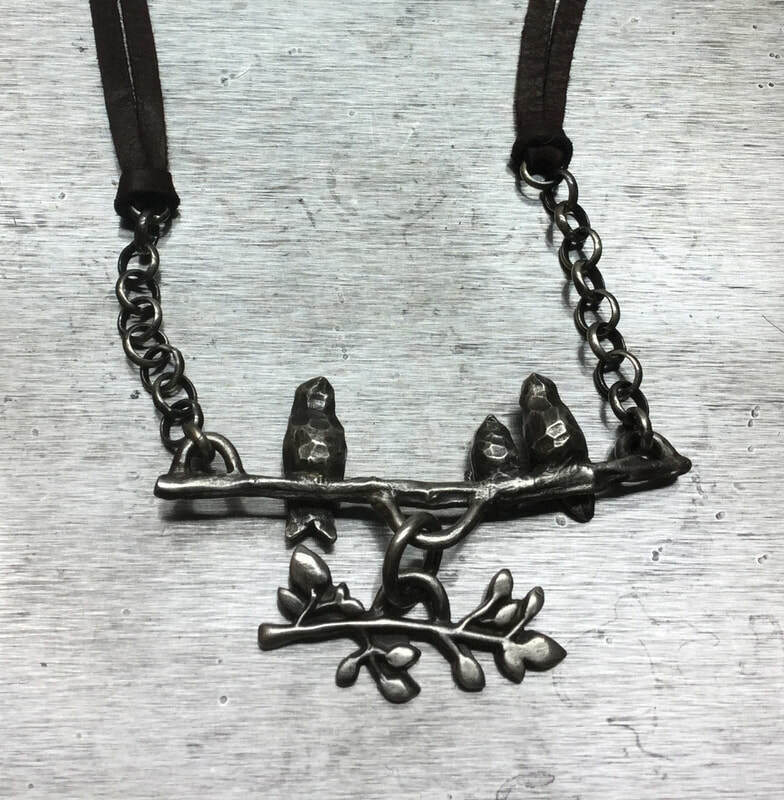 “I would love for my jewelry to be the favorite piece worn every day,” explains the artist. 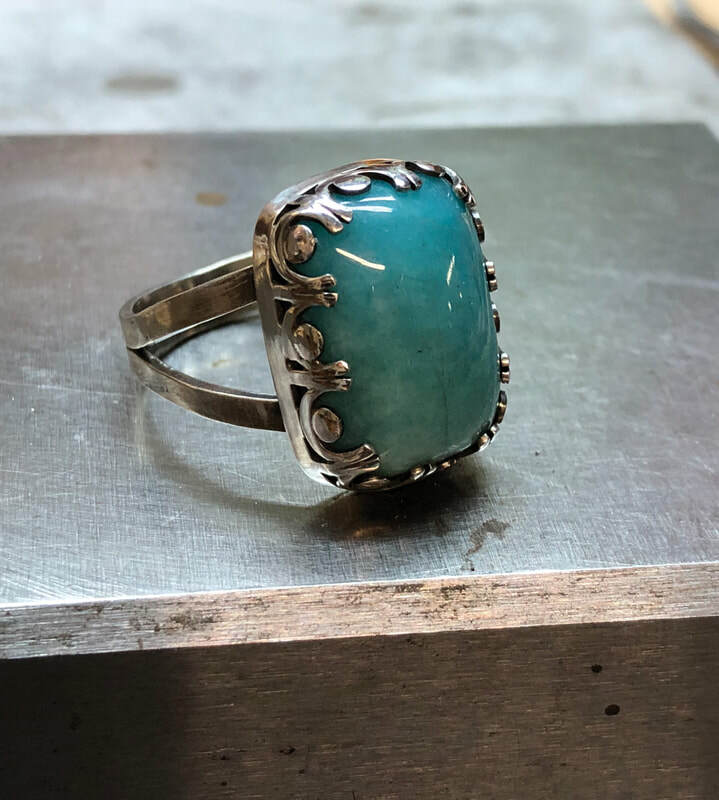 Desiring to create heirloom-quality pieces, Susan furthered her education at GIA (Gemological Institute of America) earning a certificate as an accredited jewelry professional and taking multiple classes about metal fabrication and precious metal clay. She presently resides in Mount Pleasant, Wisconsin with her husband Trace, also an artist and two daughters, Olivia and Sophia. ​Susan has been a member of Lemon Street Gallery since 2018.